This is an article written and provided entirely by The Carling Partnership who specializes in search and selection for jobs in the brewing, distilling, wine, cider and soft drinks industries. They reached out to me recently and I was more than happy to post this as a guest post since I found it to be very relevant to our industry, interesting to home brewers and I enjoyed reading it as well – cheers! One of the biggest stories in the brewing industry in 2016 is a potential shortage of hops. A worsening drought and unseasonably hot weather in 2015, in both the United States and parts of Europe, has seen a significant decline in the production levels of hops. The extreme heat has caused many plants to wilt and has impacted the quantity and quality of the hops harvested. 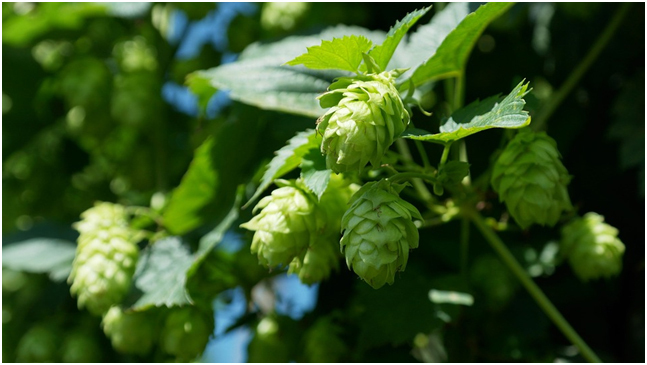 Humulus lupulus, the plant that produces the hops flowers, is fairly water-intensive and can consume up to 11 litres (3 gallons) per day in the warmer months. In regions like California in the United States, where a long-last drought has affected farmers, it has been difficult to access sufficient quantities of water and keep the crops alive. Hops are a crucial component of beer, as they provide an antibacterial effect during the brewing process — favouring the bacteria within yeast and creating a hostile environment for less favourable bacteria. Hops also add both bitterness, aroma and flavour to beer with different varieties capable of dramatically changing the quality of a beer. Craft brewers are particularly dependent on hops for their flavoursome beers — on average they use four to 10 times more hops in a lager compared to a multinational brewer that produces generic beers. Because of the shortage, the price of hops is expected to dramatically increase this year, which may have an impact on some craft brewers and home brewers. To avoid an explosion in their costs of production, some brewers are looking at alternatives to hops — here are a few of the best! This is a flowering plant that is native to many parts of the Northern Hemisphere including North America, Asia and Europe. It is considered a weed in some parts of the world, including Australia and New Zealand. In the Middle Ages, yarrow was used as a part of “gruit” — a mixture of herbs used to flavour beer and some liquors. Yarrow is very good for bittering a beer and has more of a lively effect on the beer compared to hops. Mugwort is small aromatic plant that is found in many parts of the Northern Hemisphere. It has been used for many purposes over the years including for the flavouring of food and in traditional Chinese medicine. It is also commonly used in gruit blends and was used for brewing beer in mediaeval times. It was so strongly associated with beer in the past that the name “Mugwort” loosely translates to “herb of the mug”. Mugwort preserves and bitters the beer in a similar way to hops, but adds a very distinctive and unique flavour. Widely found in temperate regions of Eurasia, North Africa, the United States and Canada, Wormwood is a medium-sized plant often used to flavour spirits. Wormwood is one of the key ingredients in absinthe and it is often used to make bitters. It is extremely bitter and should be used with caution when added to beer because of the neurotoxin (thujone), that it can contain. It has been used as an alternative to hops from the 18th-Century on in England. One of the most popular beverages around the world, tea can also be used to provide bitterness to beer. Flavoured teas can also create some very interesting beers. Brewers have successfully used various types of tea including green tea, chai tea and chamomile tea. Another ingredient that is sometimes used in gruit, sweet gale is often used in Denmark and Sweden to prepare home-flavoured schnapps. This plant has also been used as a natural remedy, treating fever, stomach aches, liver problems and more. It is native to Western Europe and some parts of North America. This low growing perennial shrub has been used to bitter beer for many hundreds of years. Heather, myrtle, and broom were used by the early Scottish brewers to create some very strong and flavoursome beers. The leaves of labrador tea have been used to make tea and flavour food for many centuries. German brewers began using it in the 18th-Century to enhance the flavour of their beer and increase the level of alcohol. It can be used as a hops-replacement and is moderately bitter. There are dozens of recipes available which use the ingredients listed above. Some are fairly simple, using one of two other ingredients, while other are complex blends of different plants. A number of modern day craft breweries are using these kinds of ingredients to make unique and delicious beers. Because of the hops shortage, more brewers are expected to start experimenting, leading to more delicious and creative blends reaching the market in 2016! Written by The Carling Partnership. The Carling Partnership, formed in 2001, is a UK based search and selection company in the beer industry. Join them on Linkedin for more information.